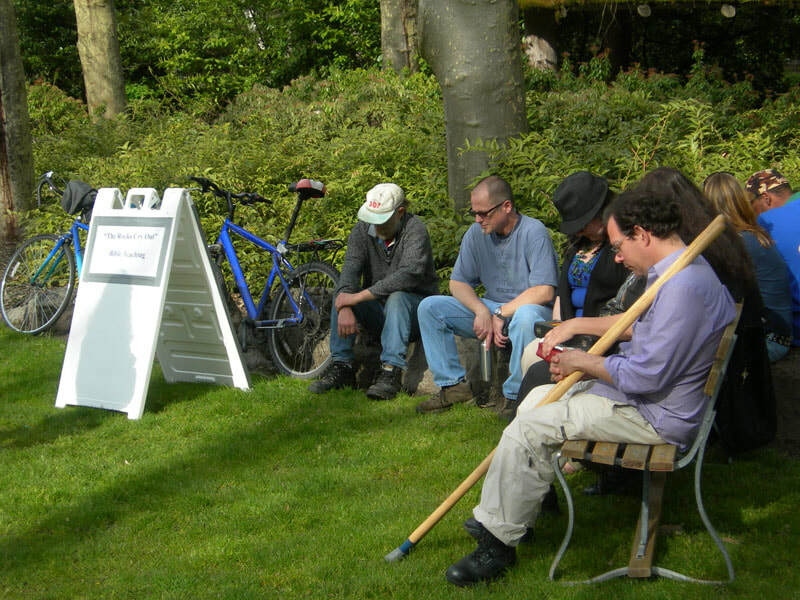 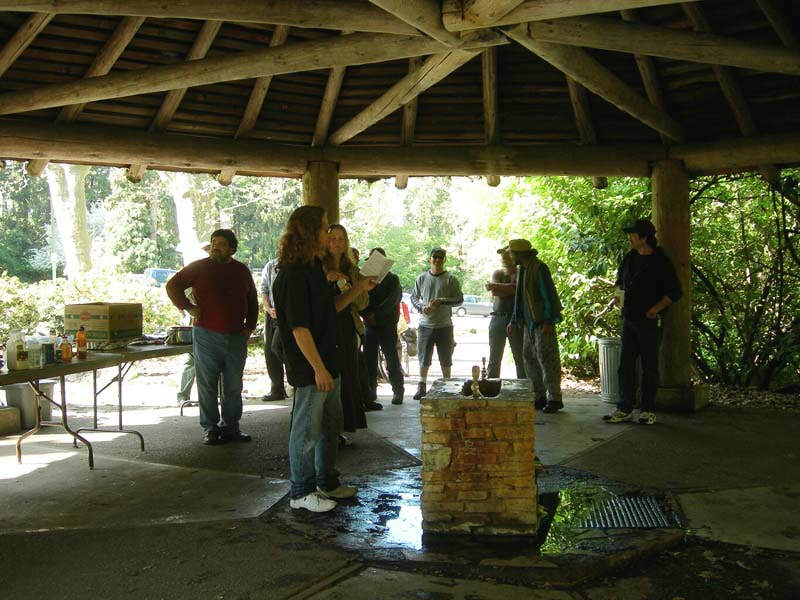 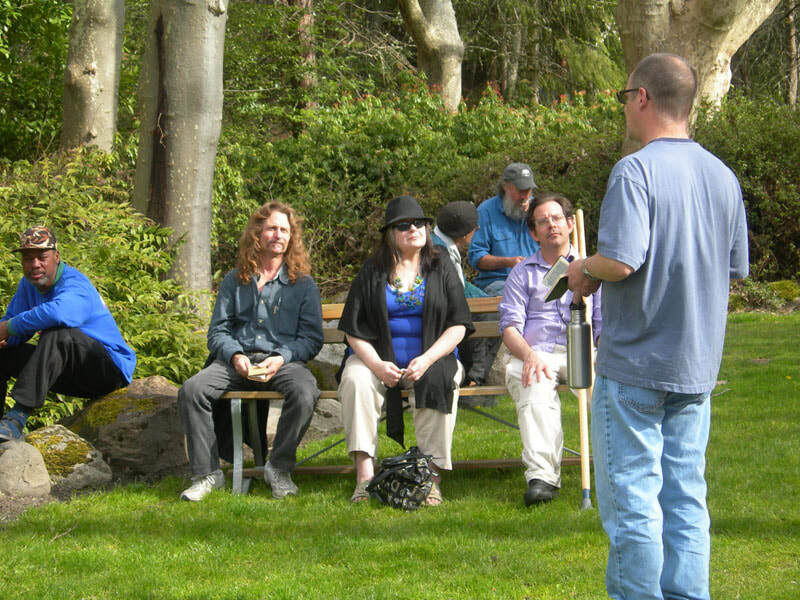 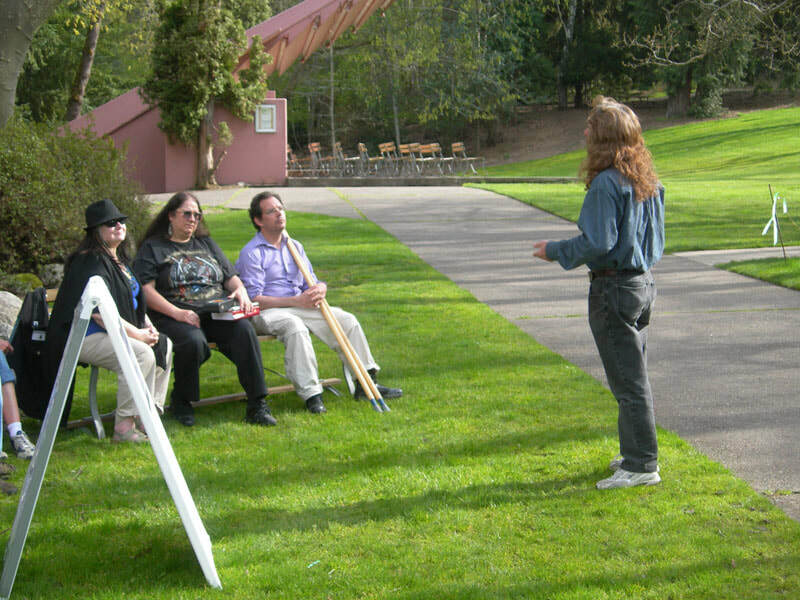 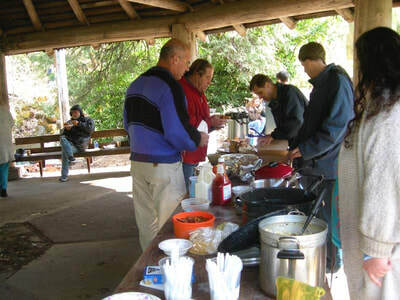 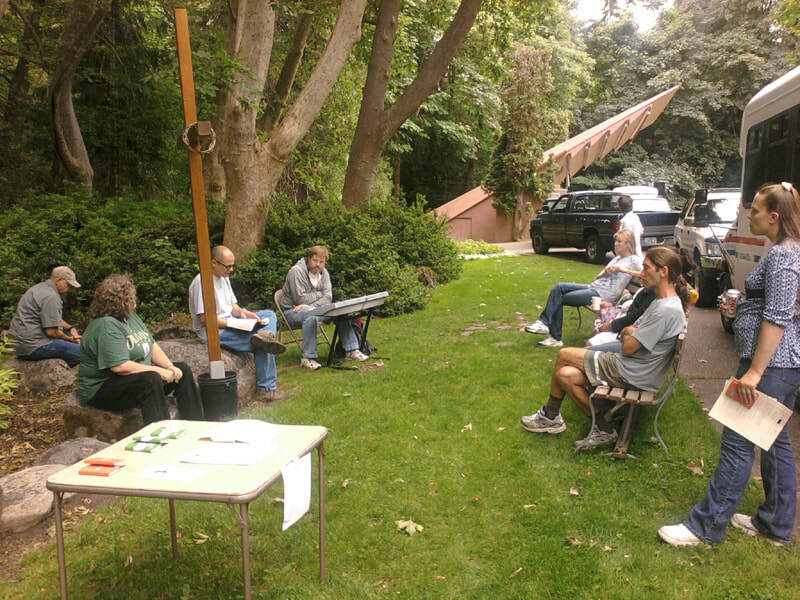 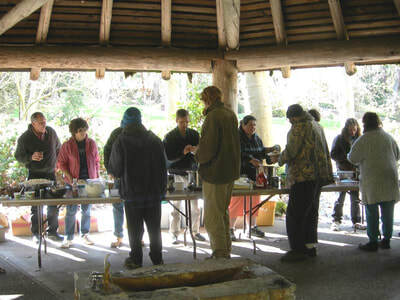 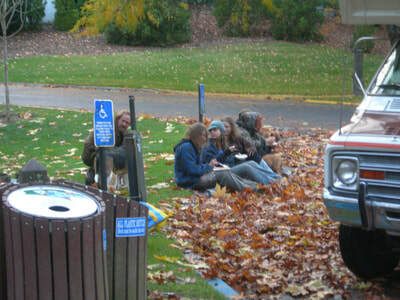 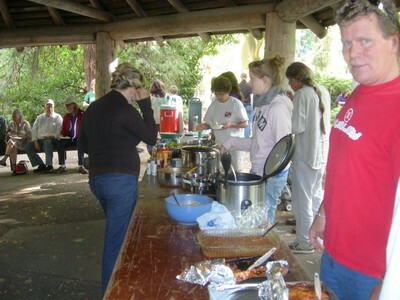 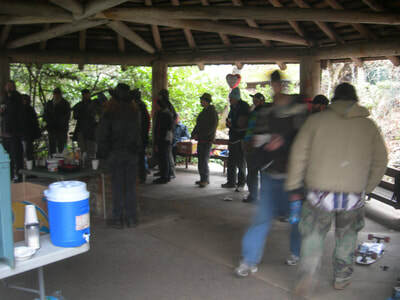 William Hayes started the potluck in June of 2003, year-around every Sunday, at the Historic Gazebo in Lithia Park, Ashland, OR. 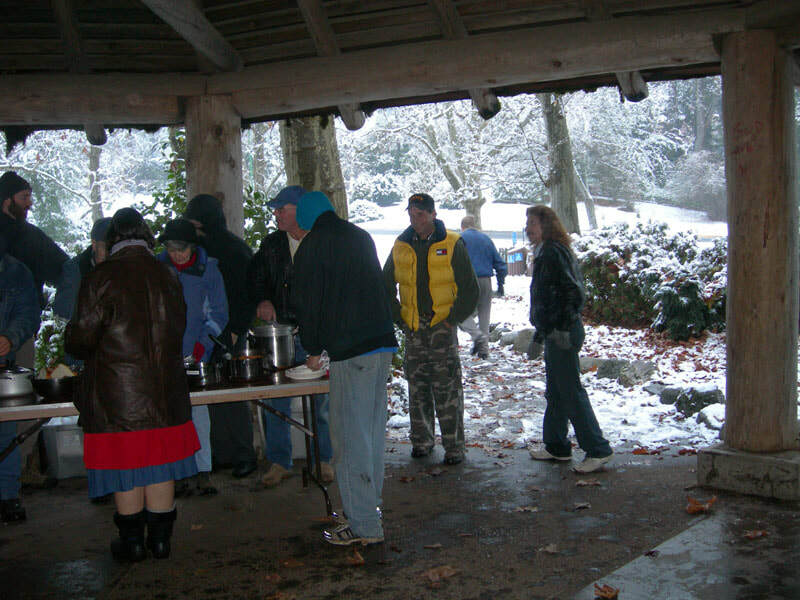 Many helpers came and went over the years and became leadership, including Scott Spalding who helped from 2004-2010, Deanna Chambers from 2005-2010, Roberta Reagan who started in October 2007, Mark Annis in July 2008, and Greg Mann in March 2011. 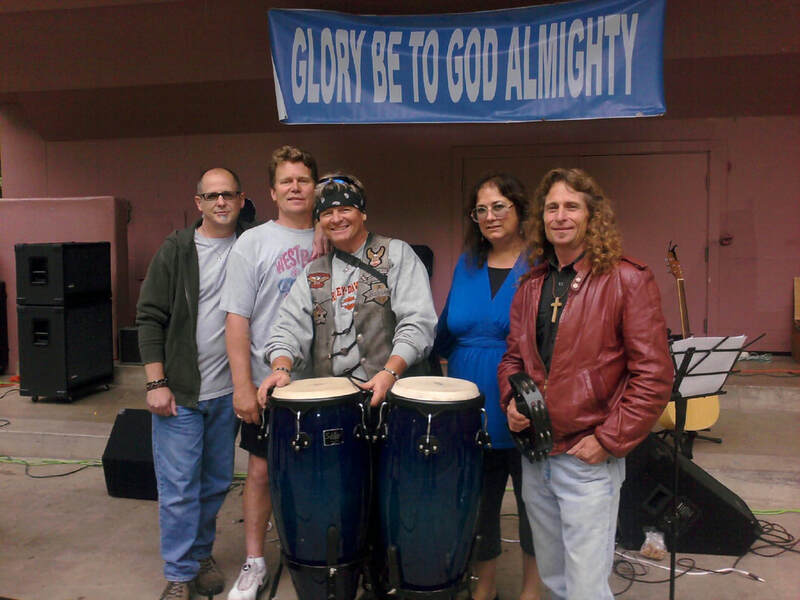 William and Roberta married in April of 2012 and that summer started the transition of changing leadership to Mark and Gregg. 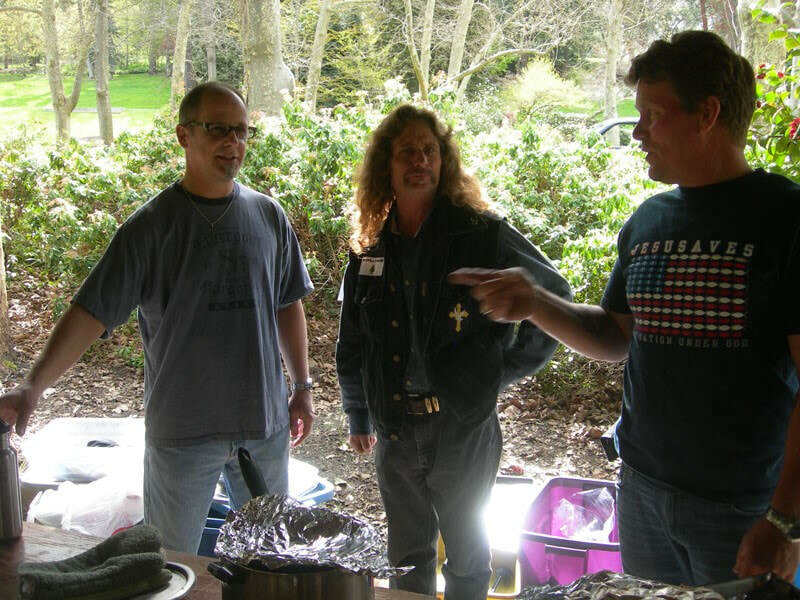 When William and Roberta left for Colorado in 2013, it was left in the hands of Mark and Greg. 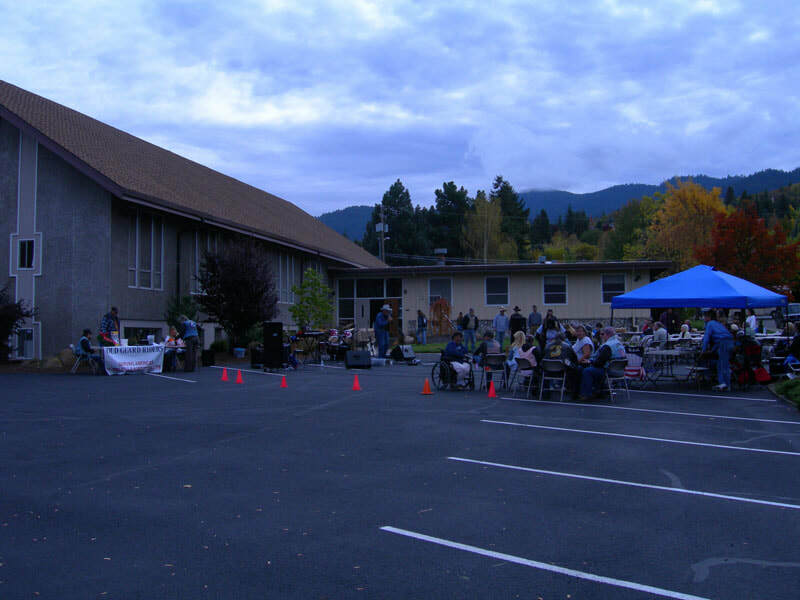 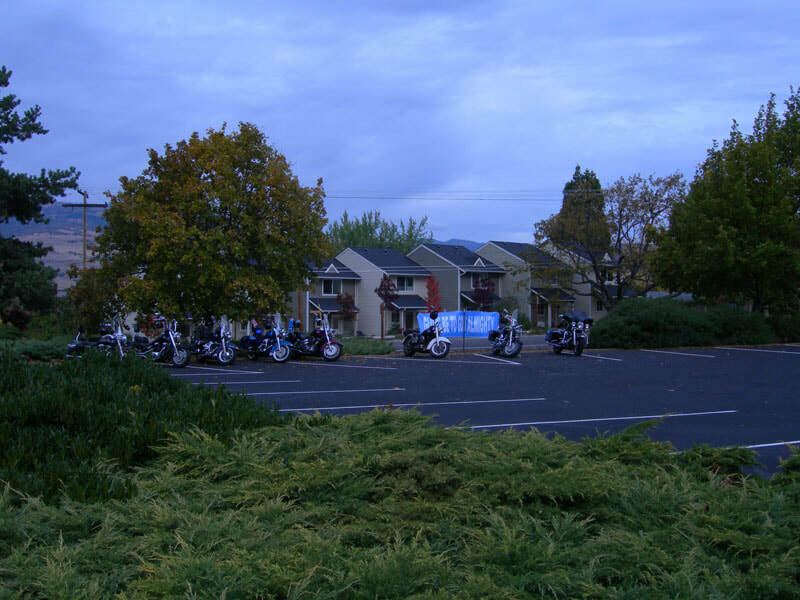 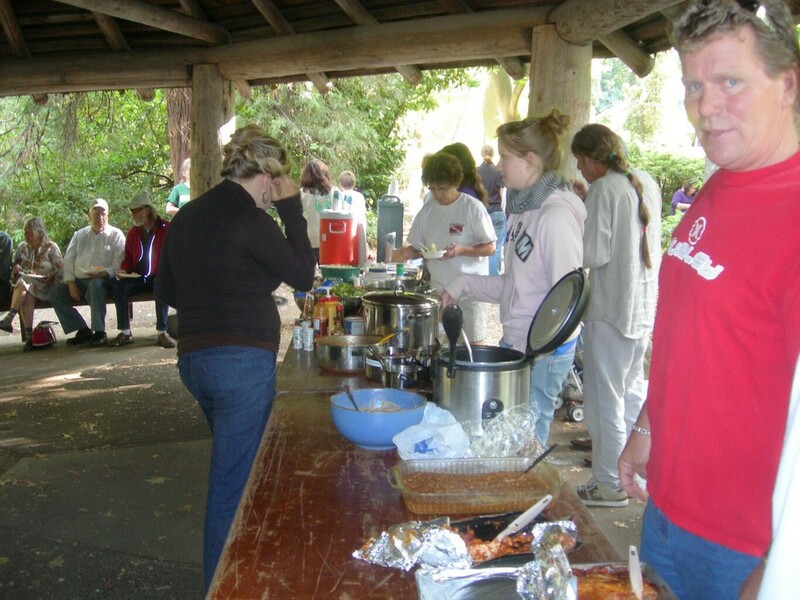 A Community Potluck was held every Sunday until it closed down November 23, 2013. 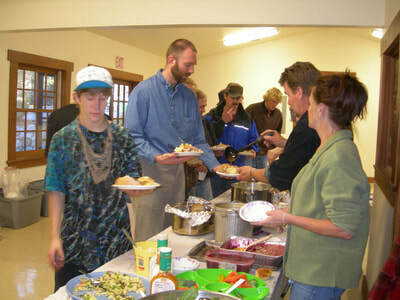 The purpose of the community potluck was to build up God's people and get them involved in their community. 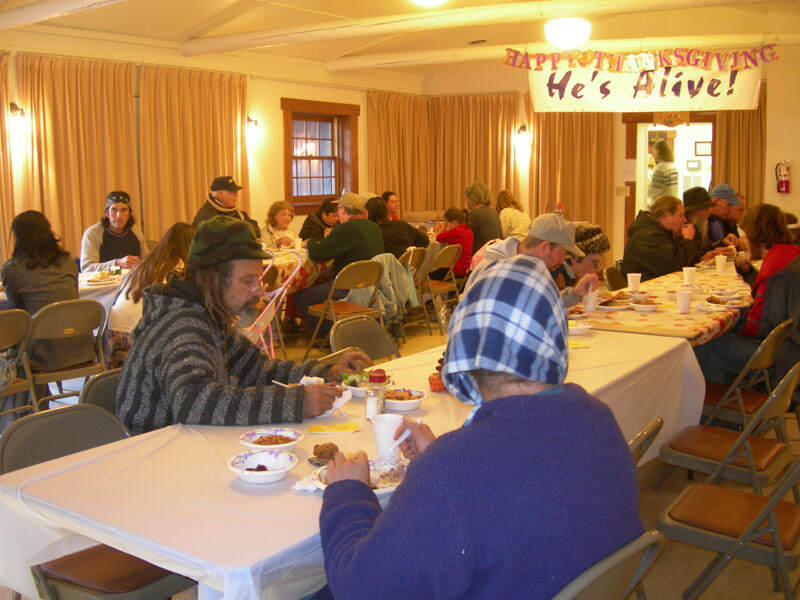 Our specific goal was to to evangelize and to strengthen the poor through fellowship and compassion. 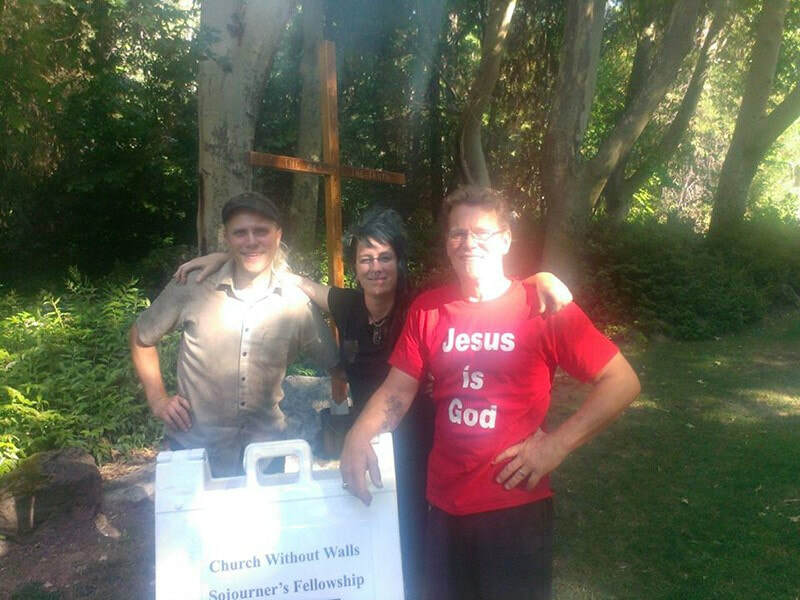 As part of that ministry, Church Without Walls, A Sojourner's Fellowship, was started on Easter 2011. 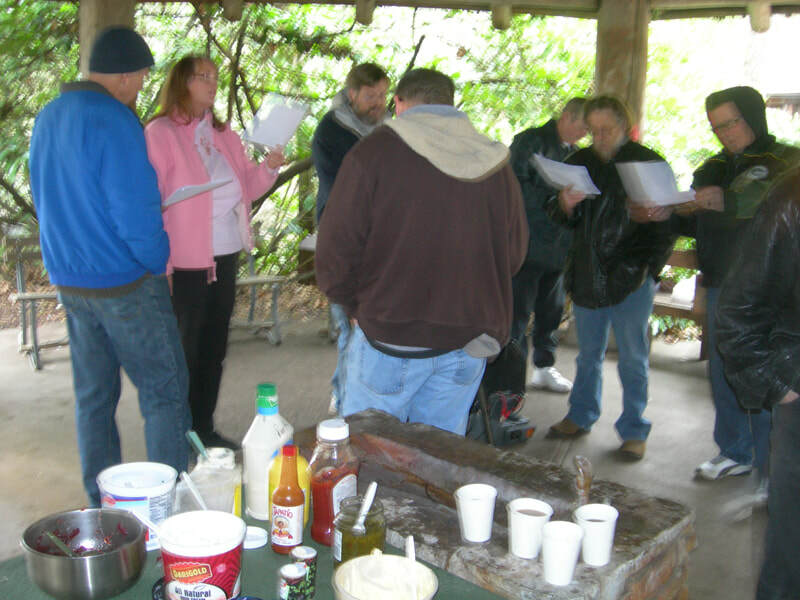 We met every Sunday at 4:30 (3:30 winter) with a Teaching of the Word, Music, and the Gospel Message. This too closed down in November. We would love to see someone pick this up again and continue a very important role in the community. Year-around we served anywhere from 30-130 each week. 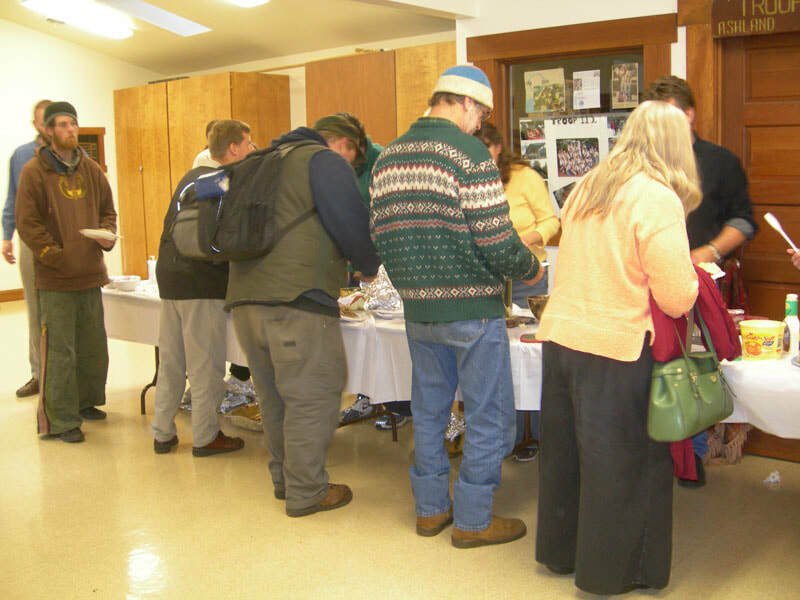 We also served around 200-250 each Thanksgiving and Christmas in Pioneer Hall. 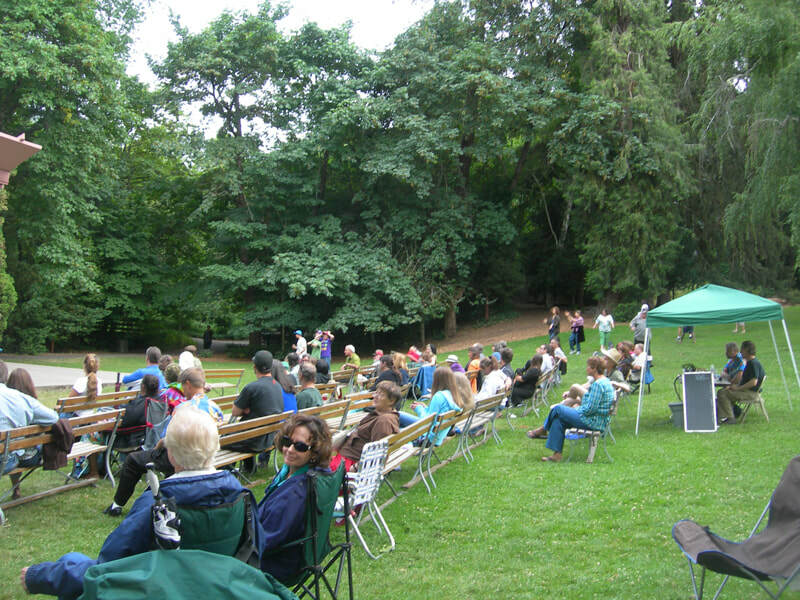 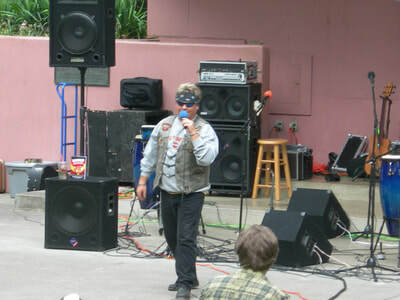 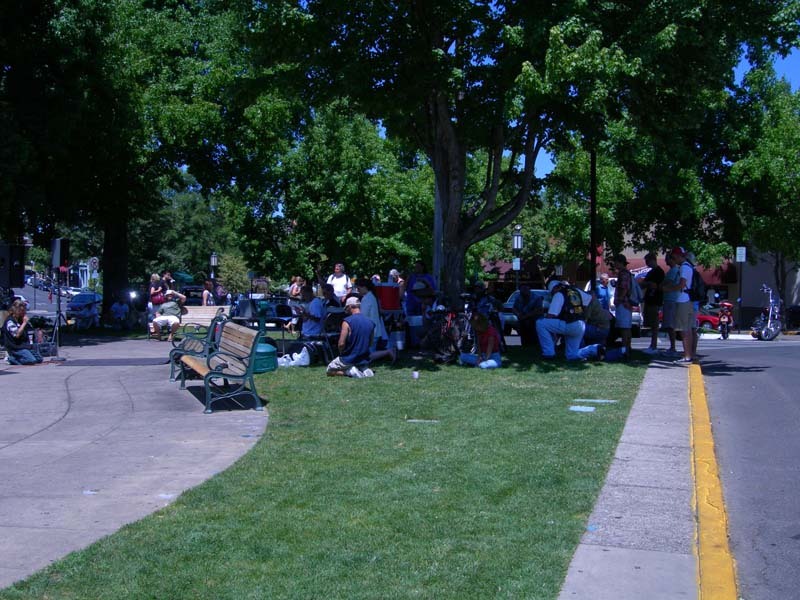 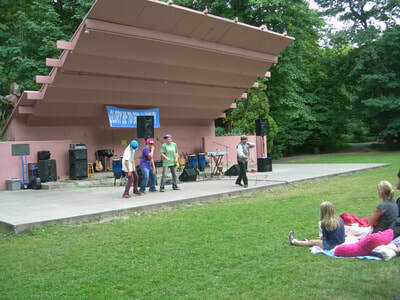 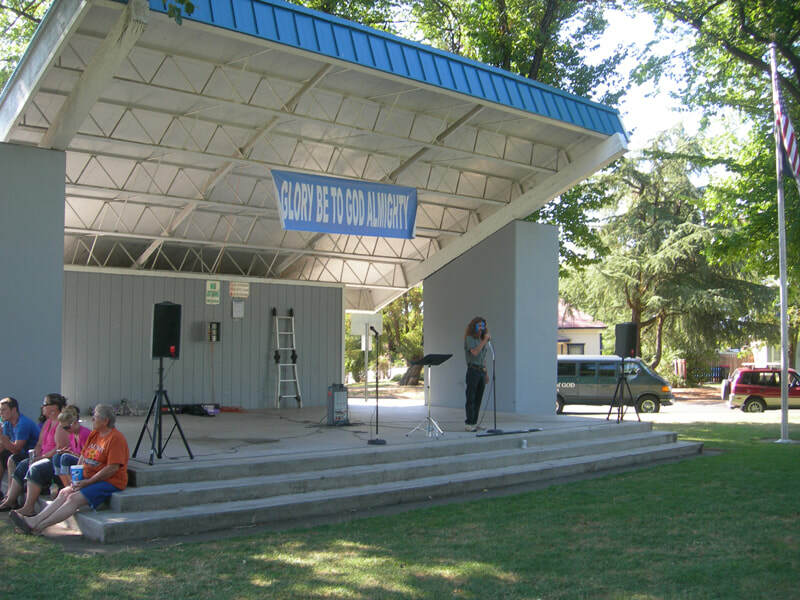 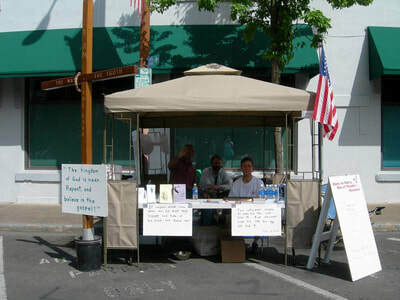 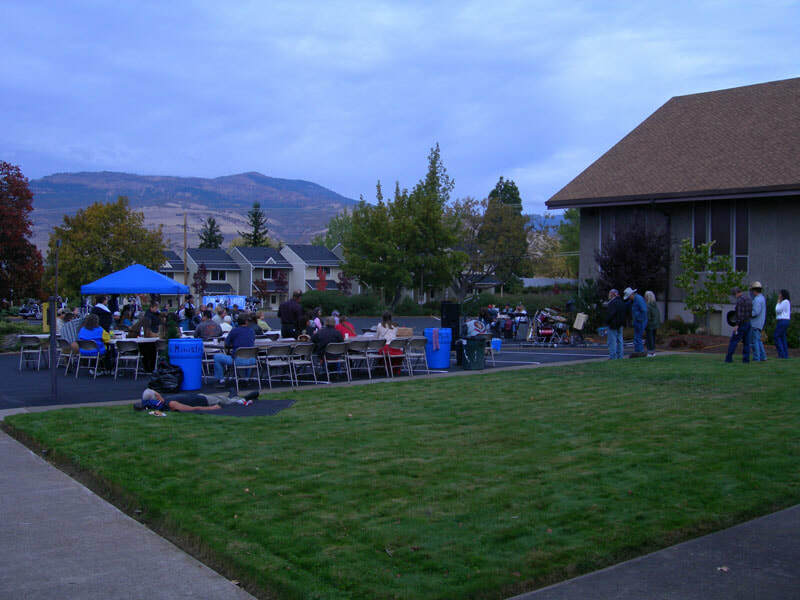 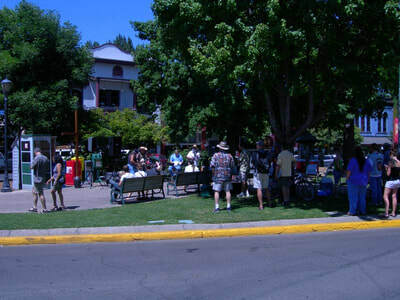 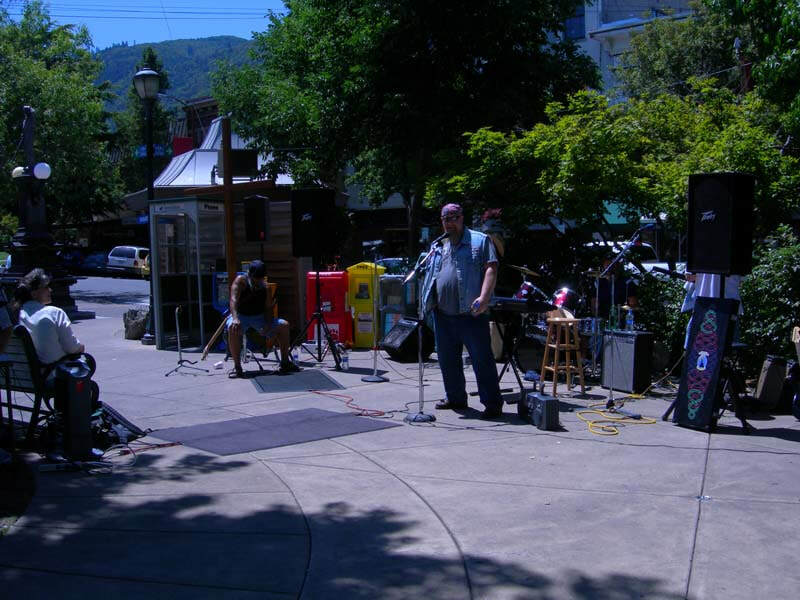 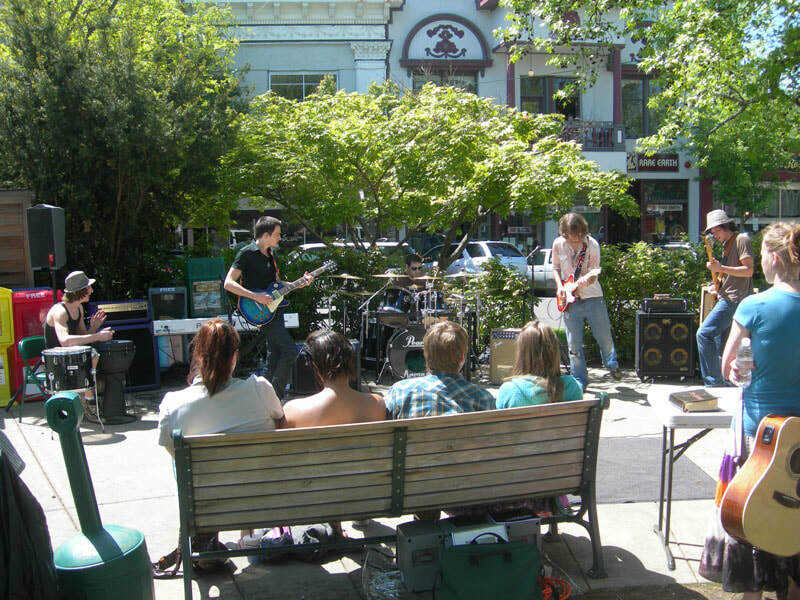 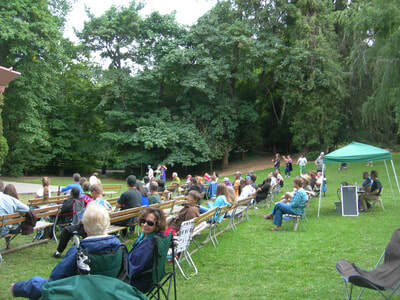 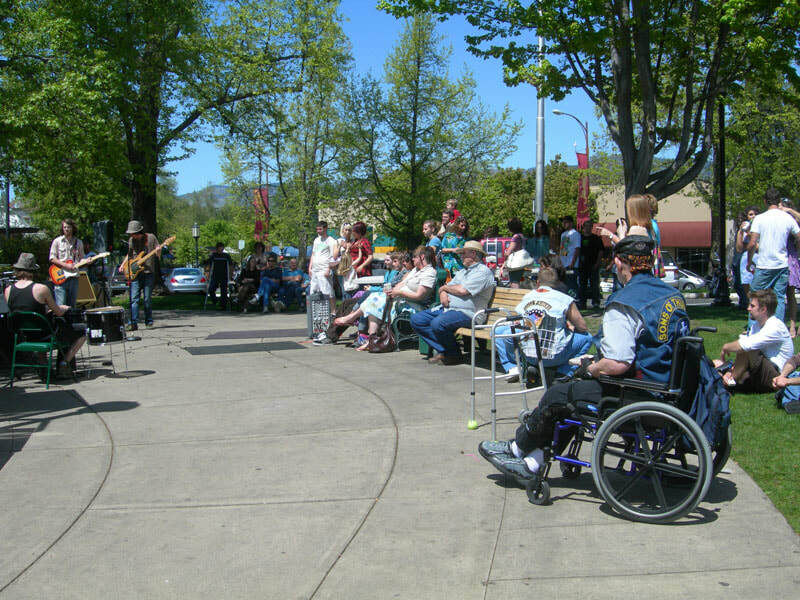 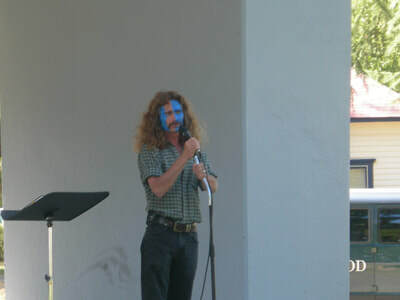 Between the years of 2008 and 2011, we hosted many concerts in Ashland (on the plaza and in Lithia Park), including Dove Award winner, Brian Duncan. 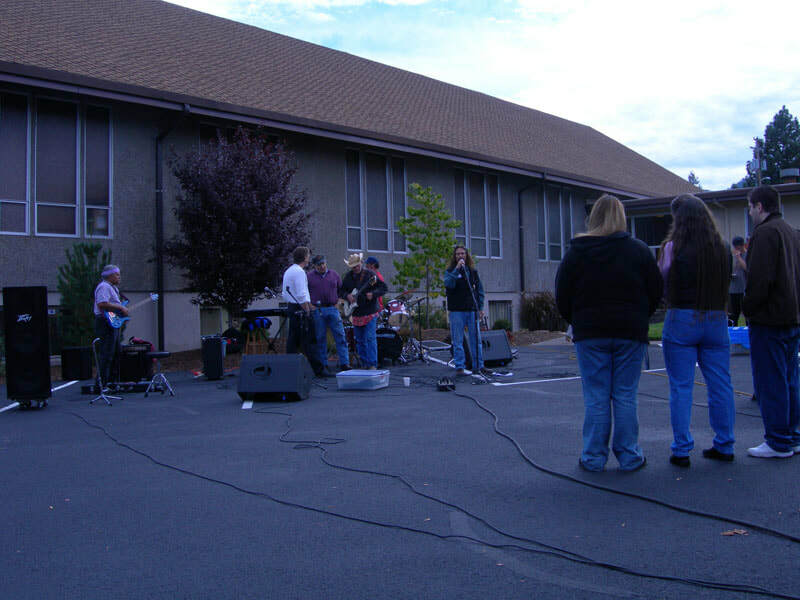 We used those opportunities to preach the Gospel and invited many to give their testimonies. 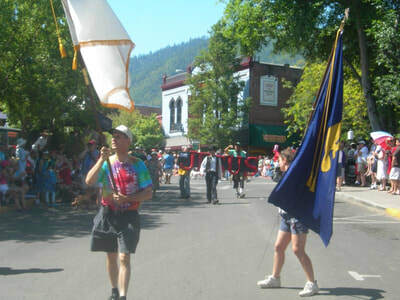 Over the years, we participated in many parades, from Ashland to Central Point. 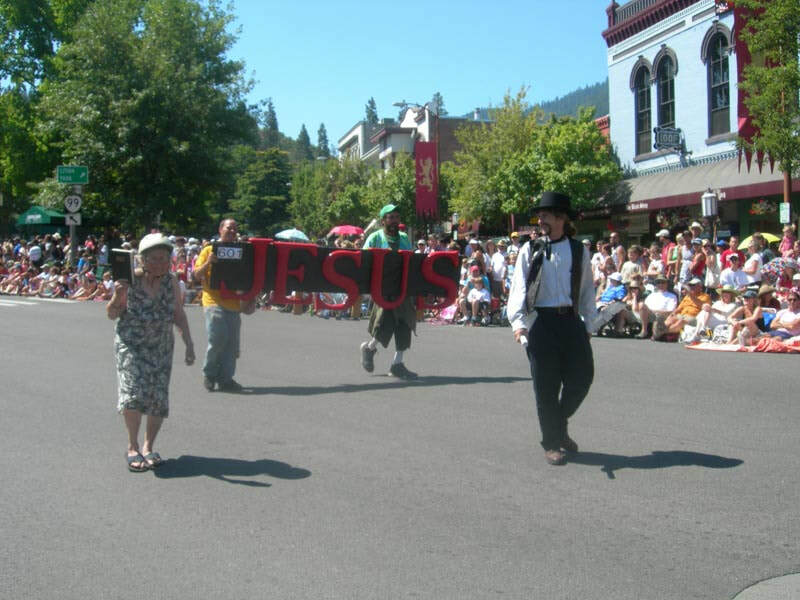 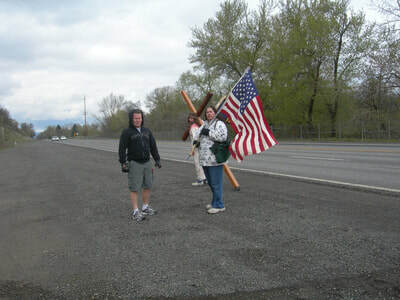 In 2009, William carried the cross from South Ashland to Central Point (28 miles), with Mark Annis playing the part of Simon and Roberta carrying the American and Christian Flags. 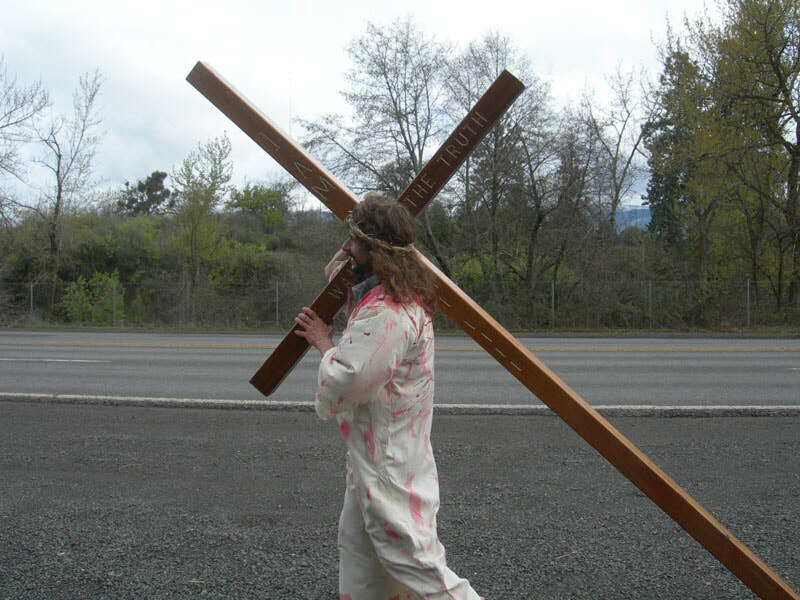 The Lord had us carry the cross to be a visual example; that we as believers must die to ourselves and carry the cross daily. We also carried it as a prophetic statement that God is going to lead this state and nation back to and in line with the will of God. 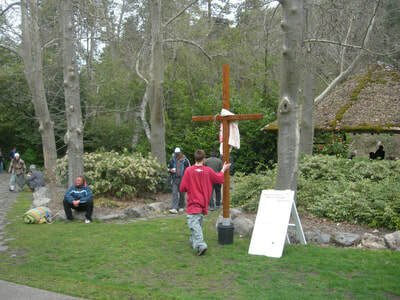 We must be willing to partake of the sufferings of Christ. 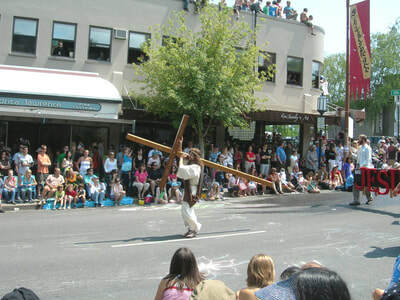 That was why we had a 'Simon' (Luke 23:26). 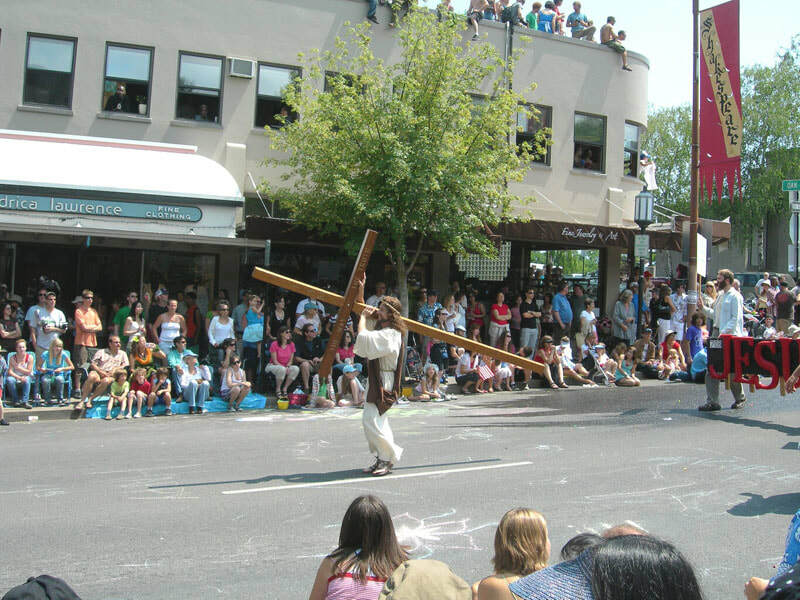 Also, just as our Lord and Savior, we must count the cost and become servants, at any cost!